The Religious Education program is a ministry to children (grades Pre-K-8) who attend public school or who are home-schooled. The program's mission is to form young disciples of Jesus who live their faith through word and deed. 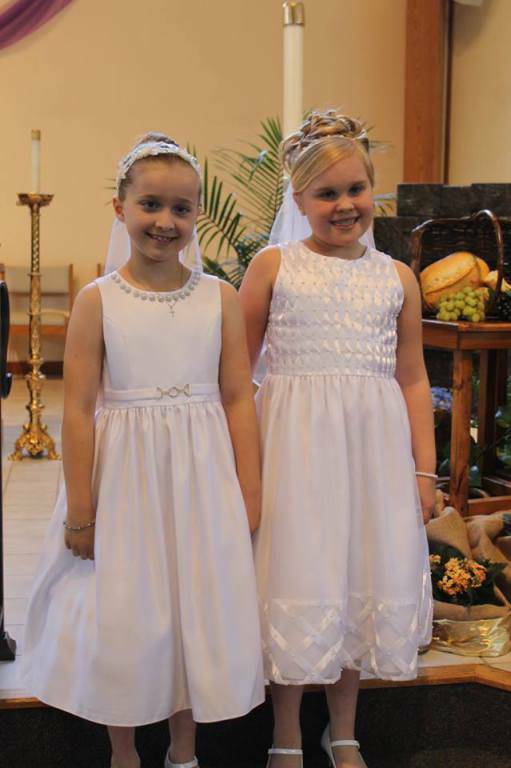 The Office of Faith Formation and Community Outreach coordinates parish religious education and the preparation sessions for children entering their First Reconciliation and First Eucharist. Click here for more information on First Reconciliation and First Eucharist. Preschool (ages 4 and 5): Sundays at 8:45 a.m.-9:45 a.m. or 11:00 a.m. - 12:00 p.m.
Grades K-5: Wednesdays at 4:00 p.m. - 5:00 p.m. or 6:30 p.m. - 7:30 p.m.
Grades 6-8: Sundays at 9:45 a.m. - 10:45 a.m. or 12:00 p.m. - 1:00 p.m.
For information, contact Marty Horning, Religious Education Coordinator, at (812) 490-1000 or mhorning@evdio.org.